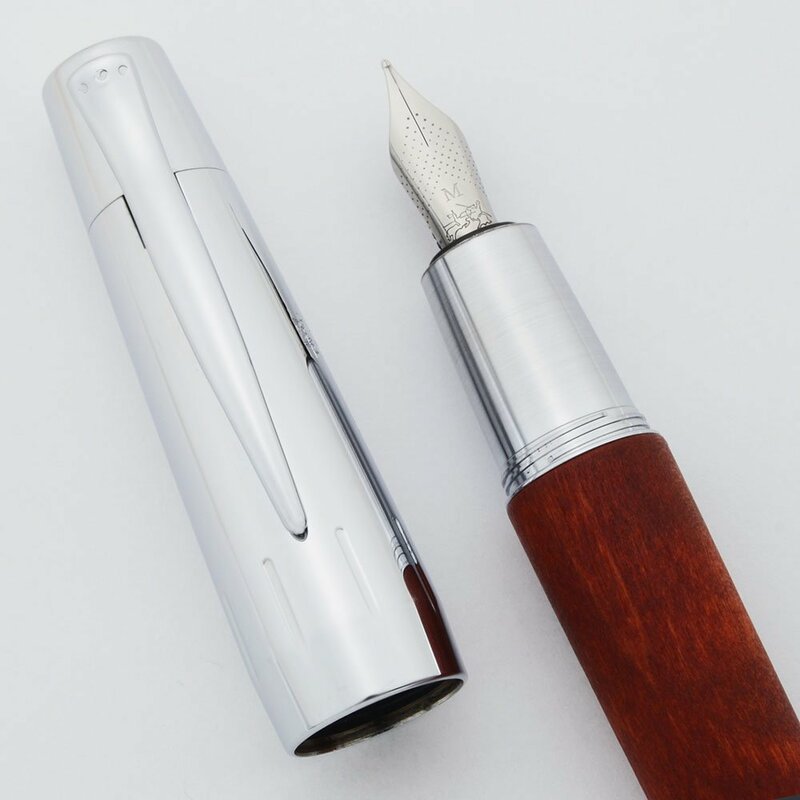 Faber-Castell E-Motion fountain pen made of chrome plated cap/trim and brown stained pearwood. Medium steel nib. Large heavy pen. Near mint condition. 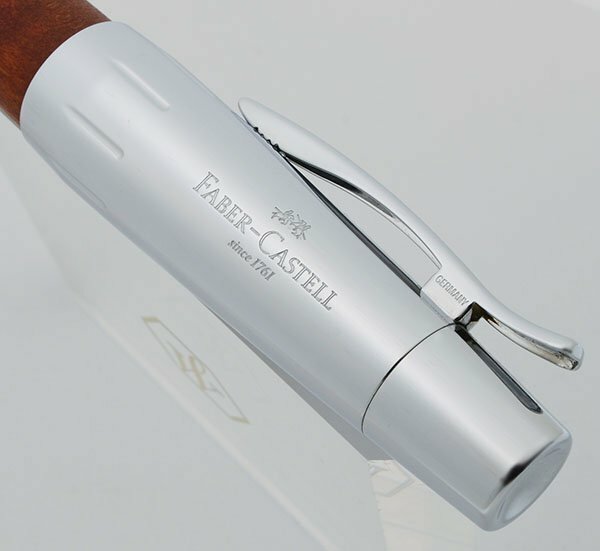 Manufacturer and Year Faber-Castell, Germany -- Recent manufacture, current model and materials. Filling System Takes international cartridges and converters. A Faber-Castell piston converter is installed. Color Stained pearwood barrel with chrome plated trim. 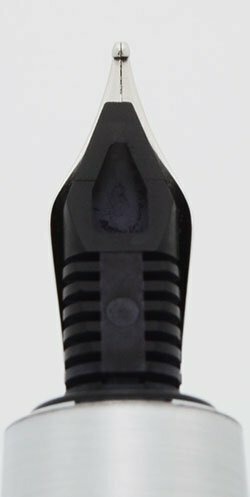 Nib Medium steel Faber-Castell nib. It is very smooth and the nib has a PVD coating to keep it extra shiny. Condition Near mint condition with some light signs of usage. 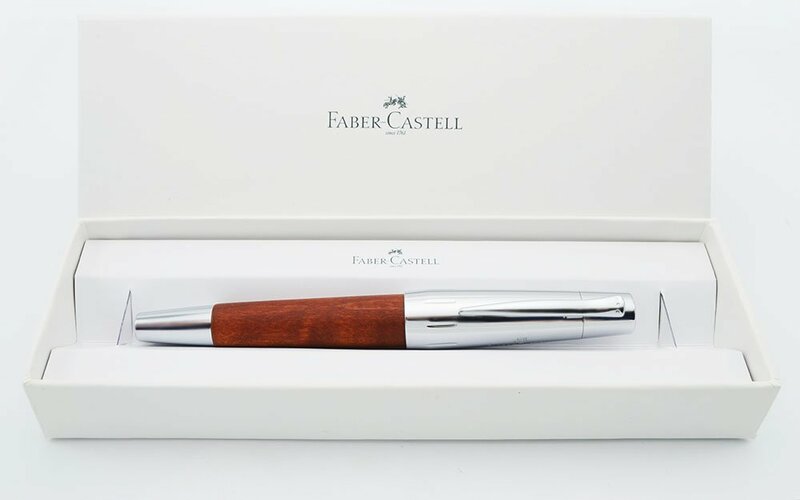 The pen is good looking in its original white Faber Castell cardboard box. It is shiny and large. The wood grain looks beautiful. The section has some light horizontal capping scratches. The chrome cap has some light scratching expecially to the left of the clip. The clip is perfect. All imprints are beautifully clear. There are no cracks, chips, dents, or major scratches.